My mom went to Florida for a vacation earlier this month. My dad died last year so the trip was a big deal. My sister and her family went for the first week to help my mom and Jack and I were there for the second week. It didn't feel like a "week in Florida". The weather was strange: very cold and windy every day. 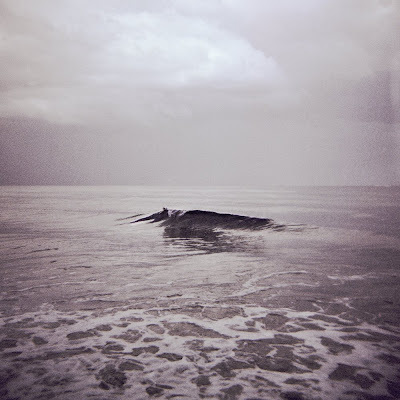 I was glad that I brought my fleece coat and I only went swimming in the ocean once, the first night that we arrived. I love the ocean - it feeds me on some base, elemental level. Then there was taking care of Mom. Its been really hard for her since my dad died, they were married for 54 years. She's changed in this year and her mind is going a bit; she's in the early stages of Alzheimers. We walked every morning on the sidewalk and she watched a lot of tv. 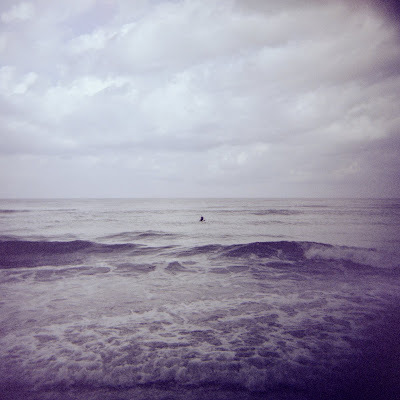 I had my Holga with me and shot a few rolls of film. I like going back to film. I like the deliberateness and the mechanics of "loading the camera". I like to wait for the results and I like to decide which frames to scan. I like the spotting in the computer and you can't beat the look of the Holga images. It's comforting to take the time and make the time to do all this. I just have three images for now as I'm still deciding which others to scan. 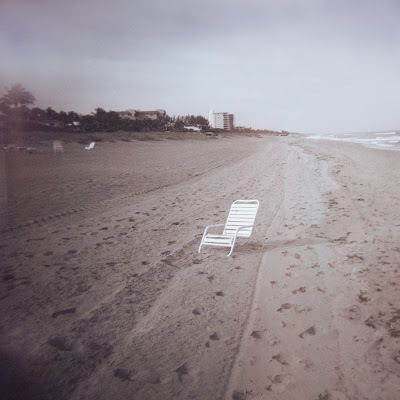 When I looked at these three images this morning, I noticed how muted the colors were, the single element in the middle of all the space and it felt like they weren't about "florida" but more about my mom: alone and fading but still there. Yes, awesome. Your words say so much, as do your photos. I especially like your last paragraph and comment on the photos. So true. I also like your comments on working with film. Your words, themselves, are very tactile. And I love the look of the blog, with the birds at the top, the simplicity of the rest. 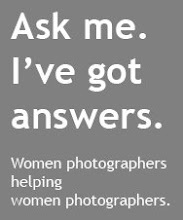 How did you end up getting the women photographers label up, I had the same initial problems as you...and still haven't fixed it. Ditto on getting back to film, once in a while! This is a really good, solid series of photos. Congratulations. MVS MARKETING BLOG MOVED to www.mvswanson.com!